Liberman orders closure of northern Samaria checkpoint until further notice, after PA truck headed for Jewish communities found with bomb. Defense Minister Avigdor Liberman ordered the Coordinator of Government Activities in the Territories, Maj. Gen. Yoav Mordechai, to close until further notice the Reihan checkpoint after a bomb was discovered yesterday, Wednesday, in a PA Arab truck passing through the checkpoint. Following the closure of the checkpoint, west of Jenin, only humanitarian cases approved by the Civil Administration will be allowed through. 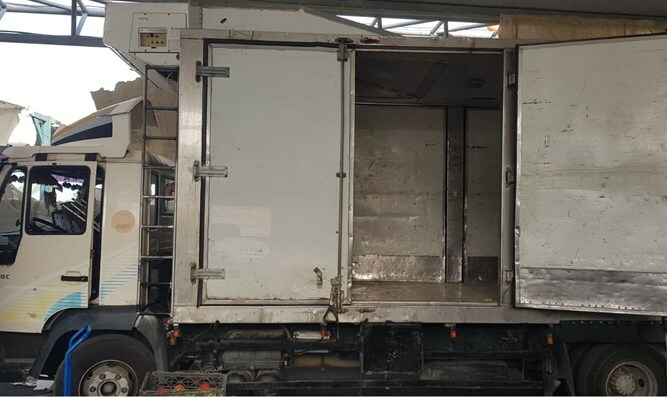 Yesterday, officials discovered a powerful explosive device hidden in the roof of a PA truck that reached the checkpoint. The truck had merchandise intended for Jewish communities in the seam zone. The Arab driver was arrested. "We will pursue those who planned to harm our holiday. They will not rest until we get our hands on them, "Liberman promised.